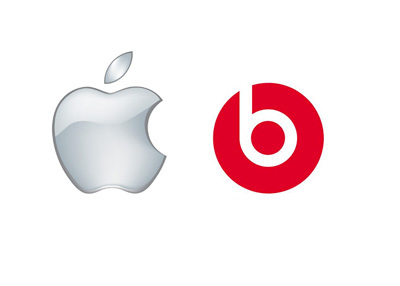 Apple Inc. has agreed to purchase Beats Electronics, LLC for a reported $3 billion. The purchase price reportedly includes $2.6 billion now and an additional $400 million that will vest over time. This deal, which has been rumored for a number of weeks now, is significant for a number of different reasons. To start, Apple's acquisition of Beats Electronics, LLC is the largest in the company's history. As a matter of fact, Apple's biggest purchase before today's deal was an acquisition of NeXT in 1997 for $400 million. Tim Cook's predecessor Steve Jobs was not a fan of large acquisitions, instead choosing to acquire smaller companies in acquhire transactions. Apple's purchase of Beats Electronics, LLC shows that the $537.51 billion behemoth is now willing to utilize its $150 billion+ in cash reserves. Investors have been clamoring for the company to start putting its cash to work, in the form of strategic investments/purchases, share buybacks or increased dividends to investors. While the Beats Electronics, LLC purchase is just a small fraction of Apple's significant cash reserves, it does seem to indicate a willingness for the company to be more aggressive. The purchase is also significant as it includes the Beats Music service. Apple has fallen behind the likes of Pandora and Spotify when it comes to streaming music subscription services, and the company's purchase of Beats Music is seen as giving them a boost in this regard. In addition, Beats Electronics, LLC has a stranglehold on the high-end headphones market, as their headphones retail for as high as $450. Apple is struggling to maintain their revenue base thanks to weakening demand for some of their key products, so the offering of products such as the Beats By Dre headphones and Beats Pill will certainly help in this regard. On top of all of that, Jimmy Iovine and Dr. Dre have been agreed to take positions at Apple as part of the deal. Both men are considered visionaries in the music world, and Apple will be counting on them heavily to help mould their music offerings going forward.